The Malaysian government has had a difficult year and its response to traumatic issues – ranging from downed airliners to home-grown Islamic militants tying-up with mercenaries employed by the self-titled Islamic State – has at times been wanting. Amid all this, the country has successfully lobbied for a seat on the UN Security Council. Prime Minister Najib Razak was thrilled with this week’s election, saying Malaysia has a strong record of promoting peace, moderation and security around the world. “Our election to the Security Council is an endorsement of Malaysia’s foreign policy. We are increasingly being recognized and valued as a global partner for peace and security,” he said. 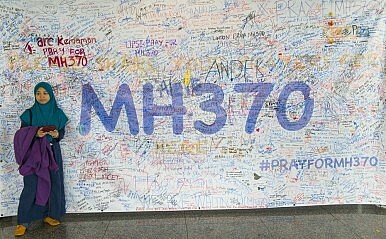 Malaysian authorities have tried, largely in vain, to cry innocent and insist the country’s finest are doing their best, particularly in regards to Malaysian Airlines Flight MH370, which went missing, and Malaysian Airlines Flight MH17, which was shot down by Russian-backed rebels in Ukraine. Then along came Tim Clark, the head of Emirates Airlines, who noted that not even a seat cushion has been found following the disappearance of MH370. He questioned efforts to find the missing plane, adding that all the facts need to be re-examined. Clark, a 64-year-old senior manager with almost three decades with Emirates, cast doubts over Malaysia’s efforts. It’s reputation has already been tarnished by corruption, religious strife and dirty politics in recent years. There has also been intense speculation that the manifest detailing what was in the cargo hold of the ill-fated flight, which disappeared in March while en-route from Kuala Lumpur to Beijing with 239 people on board, had been altered. He also challenged the Australian Transport Safety Bureau which found MH370 had drifted of course on autopilot for five hours until it ran out of fuel and eventually crashed into the Indian Ocean. “There hasn’t been one overwater incident in the history of civil aviation – apart from Amelia Earhart in 1939 – that has not been at least five or 10 percent trackable. But MH370 has simply disappeared,” he told the German magazine Der Spiegel. Malaysia’s reputation matters. Its importance on the international stage is in the ascendancy given its Islamic credentials and U.S.-led efforts to subdue the Islamic State (IS) in Iraq and Syria. No doubt Najib would like to think this helped win Malaysia a seat at the security council. Highlighting Malaysia’s contribution were the arrests of 14 people – aged 14 to 48 – who were detained this week, including a government engineer and wannabe jihadists using Facebook to recruit fighters for what IS insists is a jihad in the Middle East. “Three of them are key players of a cell whose role was to recruit, finance and arrange trips for Malaysians to join terror groups in Syria,” national police chief Khalid Abu Bakar said. Malaysians, Indonesian and Cambodians are among Southeast Asian militants who have travelled to the Middle East and are fighting with IS militias. In Malaysia, almost 40 people have been detained for their links with IS amid reports that Islamic extremists have spawned new outfits capable of staging terrorist attacks in Southeast Asia, reminiscent of Jemaah Islamiyah, which staged a series of bombings in the 2000s amid maniacal designs for a region-wide Islamic caliphate. Malaysia is well positioned to take advantage of its UN Security Council seat and that should benefit the wider world. But unwanted, unsavory doubts will continue to haunt Najib’s government until the mysteries surrounding MH370 are resolved.